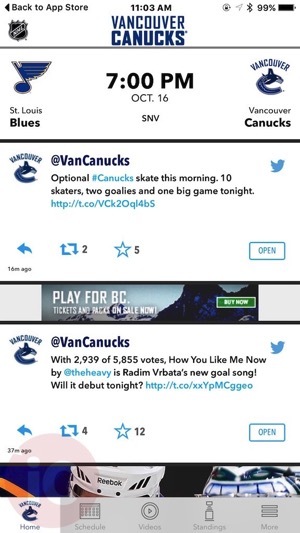 The Vancouver Canucks iPhone app has been updated with a brand new design, which now brings social media and multimedia to the forefront of the app (the iPad version has yet to get this new update). Sporting a white background, there is now a quick link to the Rogers NHL in the top left, while the app’s main feed shows the team’s Twitter, Instagram and YouTube video feeds front and centre. Users can retweet the team’s tweets via iOS or the shortcut to the Twitter app. 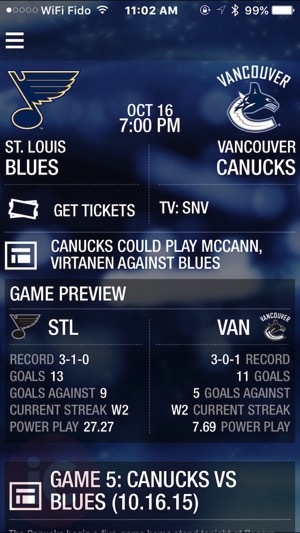 Click here to download Vancouver Canucks for iOS in the App Store.